For Those Addicted to All Things Darcy--If this is an Addiction, I Don't Want a Cure! Jane Austen Fan Fiction Anonymous Meetings Here! 24 hours a Day; 7 Days a Week! We Don't Suffer, We Celebrate! 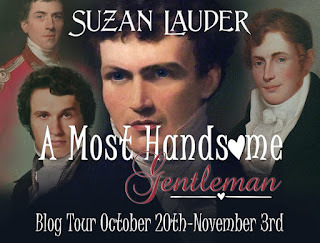 I am thrilled to have Suzan Lauder with me today here at Darcyholic Diversions. We have so much in common, that I have really enjoyed exchanging emails with her. I hope you enjoy her interview as much as I did! I DO want to apologize to all of you, and particularly Suzan, for the font formatting in this post. I have spent 2 hours trying to make it look the same why I have put it into the post when I post it for publication and I just can’t fix it. I will try again later, but I want to get the post out there since it is late today! Please use your magnifying glass if you need to, but this is a delightful post from Suzan! Thanks to all! BTCole: Hi Suzan. I am so happy that you decided to stop by Darcyholic Diversions today and give us a chance to know you better. Let’s start by getting to know a little bit about you. Where are you from and who lives with you? Suzan: I'm a proud Canadian. Have a husband of 32 years and two cats, no kids. I'm originally from the prairies but I now live on beautiful Vancouver Island (off the west coast) for half the year in an ocean view modern loft condo. For the winter, we go to our tiny Spanish colonial house in the Centro Historico of a city in Mexico. BTCole: Wow! That’s exciting! From the beauty of Vancouver Island to the charm and history of Mexico. Suzan: We bought the 150-year old house because no one would rent to us with cats, and I couldn't go away for that length of time without my kitties. BTCole: Well, I couldn’t go away long without my dogs! So I understand that part! Owning a house in Mexico! How exciting! Do you have a job other than writing? Suzan: As for work, I'm a mechanical engineer with an MBA and hold a position at a university as a mid-level manager. However, I'm on a medical leave. I struggle with PTSD and treatment-resistant depression so it takes me about three times as long as other authors to write a book. I'm very open about my mental illness. BTCole: Well, I admire your willingness to share about your struggles. In my ‘other’ life I have worked in behavioral health for many years now. And have had some struggles of my own. So I appreciate your willingness to talk about it. I have learned that the worse experiences I have had in my life, with time, God spins them into gold to help someone else. Suzan: I have social anxiety disorder so I have a hard time making friends, but once you know me, I'm a chatterbox. BTCole: Well, I hope that I am now considered a friend because I have loved your openness in sharing! I bet you have travelled a lot, living in Canada and Mexico. Suzan: Over my career as an engineer, I've travelled in northern and remote Canada, and I love to travel. As a result, I've used practically every type of toilet invented. I'm fascinated by the evolution of the toilet, and how far it was evolved in the Regency, yet I haven't yet used it in a book. Suzan: Hobbies include independent travel (that means "seat of the pants" itineraries and inexpensive trips), creating original designs for Regency costuming, reading JAFF and Regency romances, researching Regency trivia for my books, beta reading for a popular JAFF author, yoga and weights classes, and trying to learn a little Spanish so I can speak with our neighbours in Mexico. BTCole: How did you discover Jane Austen? Suzan: I discovered Jane Austen when I was 49 and very depressed and I say she saved my life. I had decided to read classics that I’d missed out in the past—I’m an engineer, so I don’t have any literature classes beyond high school. Someone had given me a dog-eared copy of Northanger Abbey, and I recalled that a couple of my friends liked Jane Austen and thought I’d give her a try. WOW. My first novel was therapy, but it's turned into fun. A few years later, my online JAFF friends helped me through a difficult time when I changed medications. So JAFF is very important in my life. BTCole: NOW I know who you are! Isn’t it interesting how well we get to know each other with our screen names. That just clicked! What else would you like us to know about you? Suzan: I live in a home with organized messiness, that is, I have little stacks of books, magazines, files, or similar items here and there, but I know what's in them, and they're out to remind me to read them. My husband dislikes it but he lives with it! BTCole: I am not the neatest of housekeepers either! I see you are a fan of comedy. What are your favorite comedies and did any inspire your latest book? Suzan: There are too many classic comedies both in movies and on television to mention, but I particularly liked “Cheers” on TV and practically anything with Jamie Lee Curtis in it. Sam Malone was a bit of a #HOTCollins. But I don’t like all comedy—I avoid those ones aimed at teen boys. BTCole: I love comedy! Scrooged was one of my primary inspirations for Fitzwilliam Ebenezer Darcy! And I WANT to finish my long incomplete Adventures of a Darcyholic with a It’s a Mad Mad Mad Mad World ending. But I am having trouble writing it, hence it being incomplete. So, when and how did you fall in love with Jane Austen and her characters? Suzan: As soon as I read the snarky “asides” about liking novels in Northanger Abbey, I was hooked. It’s Austen’s hard-boiled side that I enjoy the best. I see her books as comedies of manners, as skewering the class system, marriage habits, women’s roles, etiquette, and rules of her day. The romance is just a platform for that social commentary. Although I try to emulate her voice a little bit, my books aren’t nearly so clever. BTCole: I like the comedienne in Jane myself! How were you inspired to write your latest story ? Suzan: I got the idea for “What if Mr. Collins was the handsomest man you’d ever seen, but otherwise still himself?” and ran with it. It was pretty easy to imagine the reactions of each character based on their personalities in Pride and Prejudice, because Austen is a master at drawing out characters in her work. All I had to do was take the slice of the book where Collins arrives and have everyone react to it, kind of like improv comedy. It almost wrote itself! BTCole: Was your handsome but shallow Mr. Collins inspired by anyone in particular in your life? Did you have any particular actor or character in mind when you wrote his section? BTCole: Are you working on anything new now? 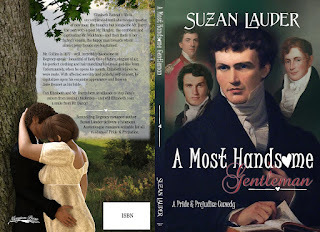 Suzan: I’m writing a mystery-suspense that involves dreadful injury, mistaken identities, and an enduring love for Darcy and Elizabeth throughout the book, even though they’re separated. It’s yet unnamed. I also have several stories that are about 1/3 completed and need my attention to finish them, including a sequel/prequel for Letter from Ramsgate. BTCole: Well you will have to come back to see us when you finish one of those! Or better, both! Anything else you would like our readers to know? Suzan: I’m fairly shy and have Social Anxiety Disorder, so you have to know me to get a taste of my teasing wit. Mr. Suze told me he thought Colin Firth was goofy looking so my rebound comment was that Colin sort of looks a little like Mr. Suze—I said “he has the same face shape as you, at least!” I’m saving the hair comparison for later! For Suzan’s Give Aways Click Here! Excellent interview, Barbara. Your post was good! I enjoyed reading your answers, Suzan, and appreciated your honesty and openness. Both were refreshing. Barb is very comfortable to talk to, and I've been comfortable with being open about my illness for years. I'm glad you enjoyed it, Janet. I have known Suzan for over forty years. We were in youth group together, we starred in our own musicals (one written by young Suzan) and spent copious amounts of time eating sunflower seeds on the back loading ramp of the post office, singing 'Jet' by Paul McCartney and Wings. 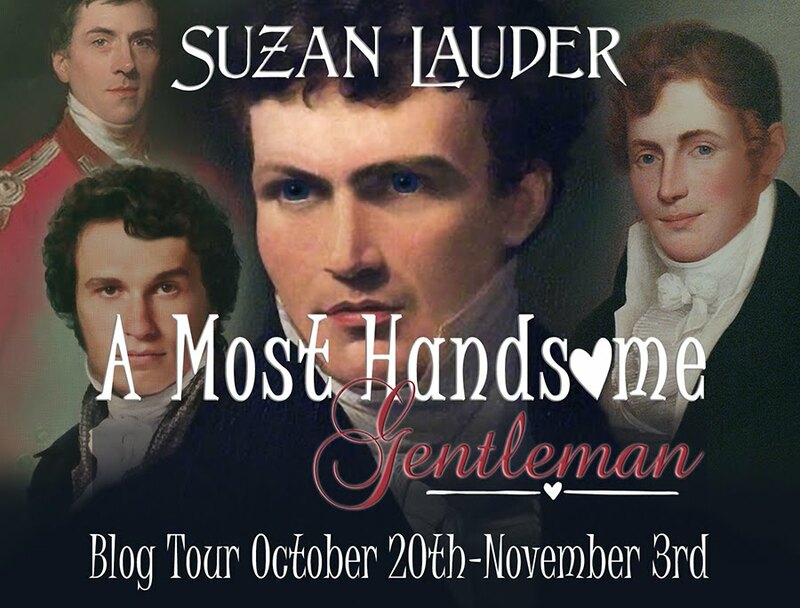 I'm thrilled that Suzan has found this exciting new love of writing and wish her much success. I read Hot Collins on a fan fiction site, and it was hilarious. What you didn't know is I secretly wrote my first novel, a fan fiction based on Catherine Marshall's "Christy," when we were about 14. And you didn't mention the long list of choral groups we both participated in! Love you, pal! I like the idea of a mystery suspense novel - my favourite genre is actually historical mysteries. Regency counts as historical! I'm glad to hear I have one follower for that new book already. In the meantime, I'm reading Nicole Clarkston's "These Dreams," which has some good mystery and suspense elements. Thanks, Vesper! Loved this interview, Suzan and Barbara! This book sounds so funny, and I appreciate your ability to talk about your illness, Suzan. Wishing you all the best. Thanks so much, Jan! You are so supportive! Great interview! I love to get to know more about my author friends! Thank you Barbara and hope #hotcollins is a big success Suzan! 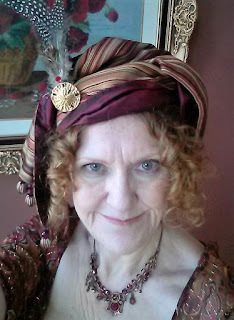 I too like to hear the interesting back story of my author friends, and Barb's creating quite the list of them on blog tours. Thanks! Kudos to you and being open with your struggles. You have done well. I am so glad that Jane Austen saved you. I agree that Jane Austen has the best wit around! Thanks, Eva. The stigma of mental illness is reduced the more people talk about it. 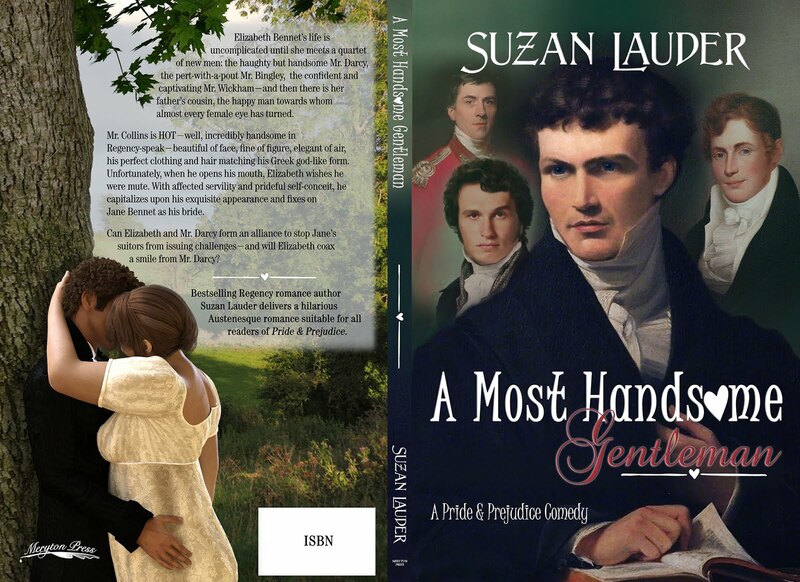 Austen, my friends, and Mr. Suze were all my helpers through the darker times and my joy to this day. I'm like Suzan and couldn't winter away from my cats either! Fun interview and a fun book! Like many pet owners, I feel my furry friends are members of the family. They are also my calm. Nothing like touching fur and having it purr and look at you with loving eyes. Great interview. I enjoyed getting to know Suzan better and can relate as I have some issues with anxiety. I am very excited about this book and am glad you are already working on your next project as I enjoy your writing. Anxiety can be crippling, so I'm hopeful you have some good supports to overcome the issues yours raises, darcybennett. Thanks for the support on my writing. Readers are the most important part of it to me. Add Darcyholic Diversions Button to Your Blog Today! I Will Return The Favor! Interview with Jayne Bamber: Happy To Be Her Friend And Not a Family Member! Lucy S.: A Large Amount of Darcy is the Best Recipe for Happiness! The Tomato or The Bamboo? Who Are You? Let's Bloom! It's Spring! Bloom Where You are Planted! Karen Aminadra: A Hertfordshire Lass! Add My Button to Your Site! 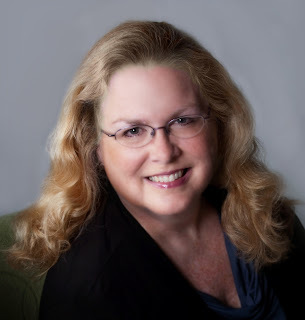 Barbara Tiller Cole is an Atlanta native and writer of the popular book 'White Lies and Other Half Truths' (an adult farce inspired by 'Pride and Prejudice') as well as the family friendly classic 'Fitzwilliam Ebenezer Darcy'. Her mother consistently challenged her to improve her mind through extensive reading, Jane Austen style. This Blog was inspired by her NEXT novel, 'Elizabeth Bennet, Darcyholic'. Scheduled to be released in late Spring 2012. Copyright: Darcy's Kiss Publications LLC. Theme images by duncan1890. Powered by Blogger.